We are a greenhouse that specializes in Annuals, Perennials, Vegetable plants & Herbs. We grow most Annuals 12 plants per box, not 6 plants per box like our competitors! Be sure to compare prices! Treat yourself to our beautiful pre-planted containers and hanging baskets. Bring us your window boxes and containers and our experienced staff will customize and plant them for you. All our product is grown on location! Our greenhouse has the most experienced grower on P.E.I. Come and talk with Ron! 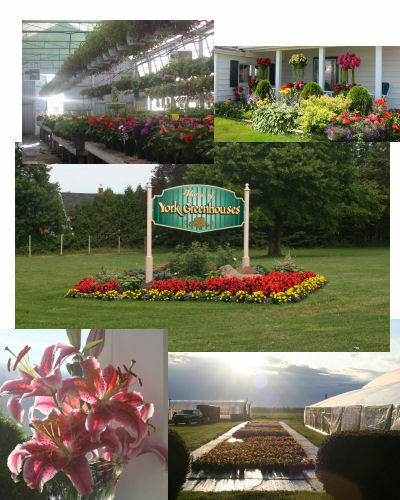 Our Greenhouses are the best kept secret on P.E.I.